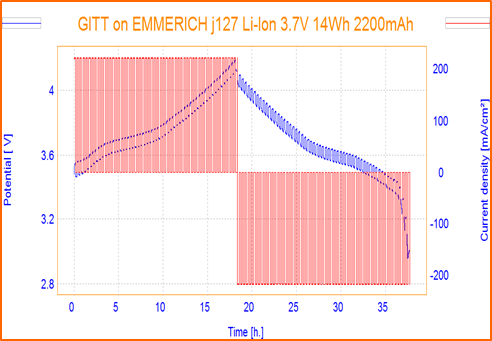 ✓OrigaLys introduces a new method for Battery studies: "Galvanostatic Intermittent Titration Technique", also called GITT. It consists in series of current pulses, each time follow by a relaxation step. 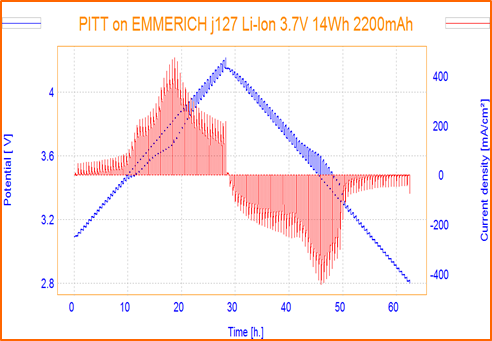 ✓OrigaLys introduces a new method for Battery studies: "Potentiostatic Intermittent Titration Technique", also called PITT. It consists in series of potential pulses, each time follow by a relaxation step, until the upper potential limit of the battery is reached. 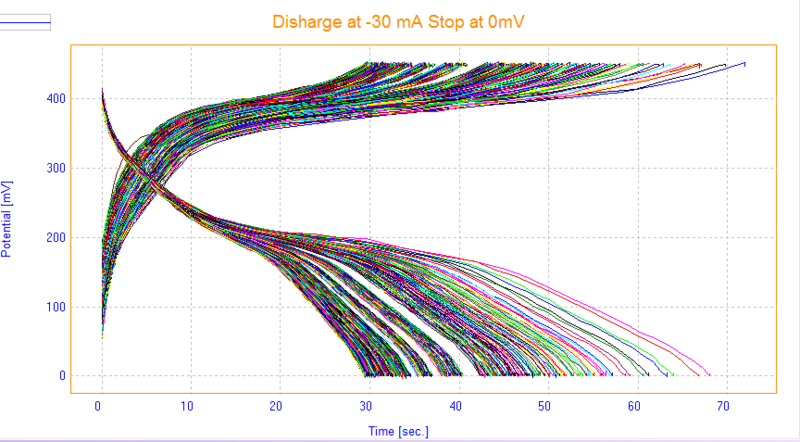 ✓OrigaLys introduces a new method for Battery studies: "Galvanostatic Charge and Discharge Cycle", also called GCDC. 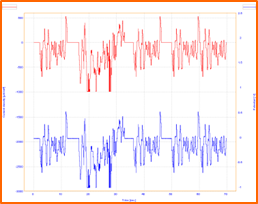 It consists in cycles under galvanostatic mode with limitations in voltage. All the process is controlled by a temperature safety procedure. 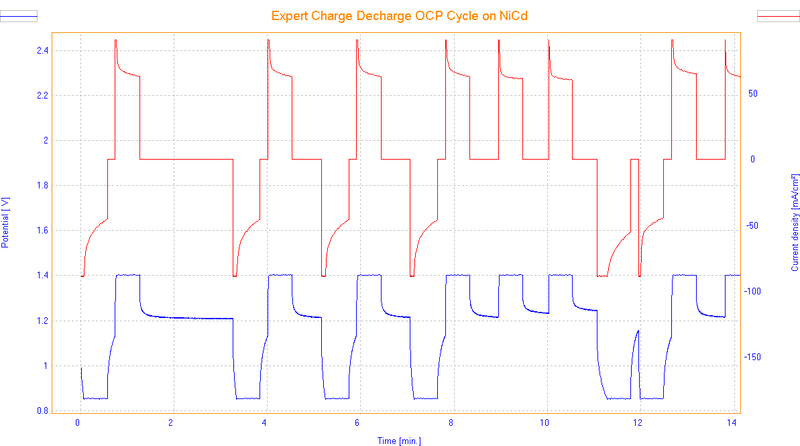 ✓OrigaLys introduces a new method for Battery studies: "Expert Charge and Discharge Cycle", also called ECDC. 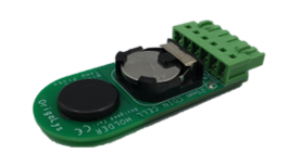 It consists in cycles under galvanostatic and/or potentiostatic mode with limitations in voltage, current, time, energy and temperature. ✓ You need to run your own profile, according to your own conditions? OrigaLys has the perfect method to do so: Profile Generator. 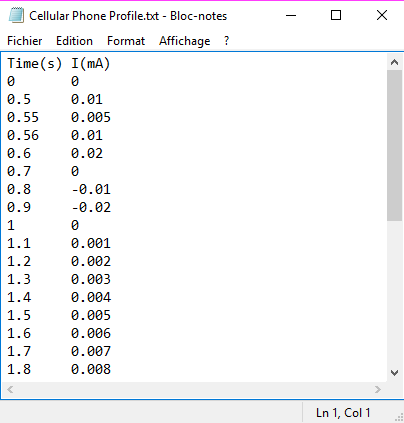 Based on a imported ASCII file, we perform the battery profile you set. It fits all the batteries: cell phones, car battery, laptops, and so on. 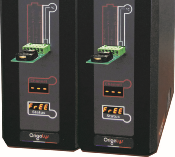 ✓ Display up to 10,000 cycles simultaneously. ✓ Yes, without long cables. Directly connected to the potentiostat front panel. ✓ Yes. 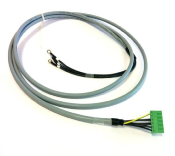 In order to protect your instruments from battery damages, we can provide long distance cable (3m). ✓ Yes, we can design for you and with you the Battery Holder you need. Who actually manufactures your devices? 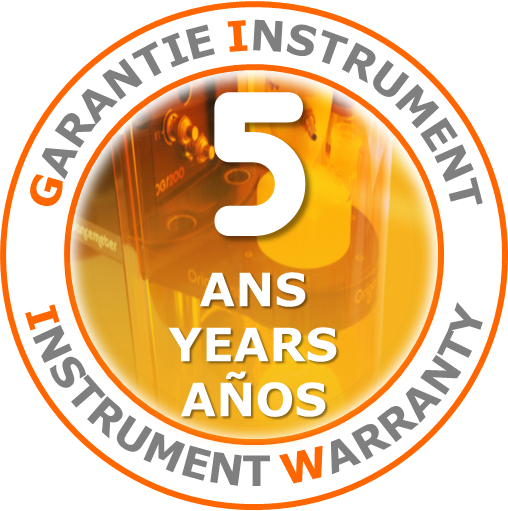 ✓All the OrigaLys' products are designed and manufactured in Lyon, France.